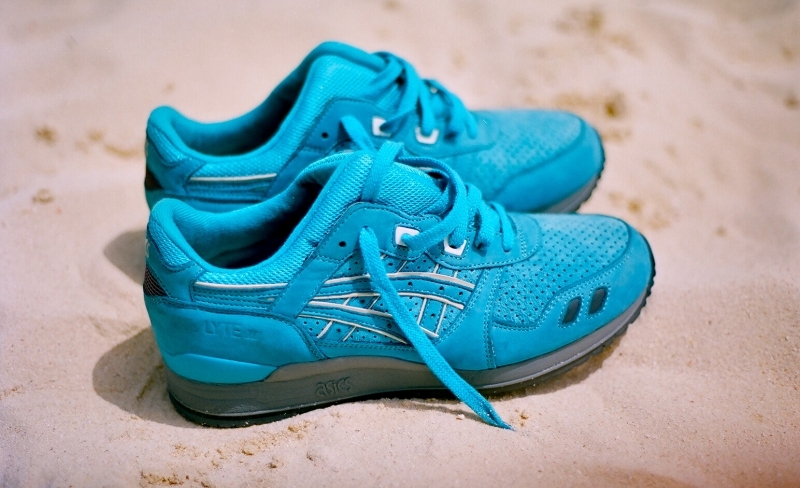 Just the start of a beautiful relationship, Ronnie Fieg and Asics created the Asics Gel Lyte 3 Cove. The sneaker is inspired by an amazing getaway spot in the Bahamas. featuring a quality build, the sneaker's upper is dressed in a complete hue of blue with a grey sole. Finished with white detailing worked into the design, Ronnie has proved he produces only the best.